". . .The subject of study in the present work is the capitalist method of production and the relations of production and exchange appropriate to that method. The country in which these relations have hitherto assumed their most typical aspects is England. That is why English conditions have been mainly drawn upon for illustration of my theories. Should the reader, however, be disposed to shrug his shoulders pharisaically when he contemplates the conditions under which English industrial and agricultural workers live and perform their daily tasks, or if he should be inclined optimistically to console himself with the belief that things are far from being so bad in [his own country], I must assure him 'De te bafula narratur' [The story is told about you; i.e., the cap fits you]. 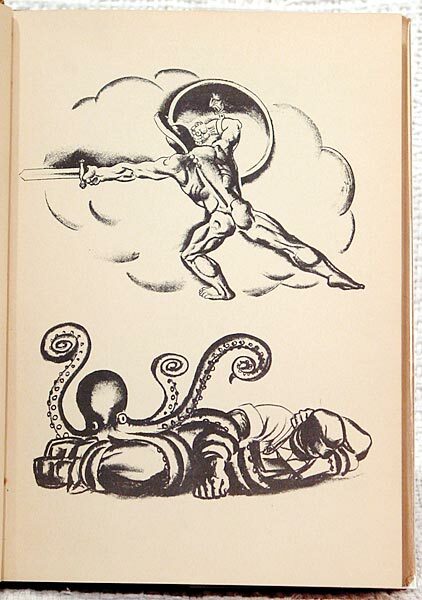 ...Perseus wore a magic cap which made him invisible when he was hunting down monsters. We draw a cap tightly over our own eyes and ears, that we may have warrant for denying even the existence of any monsters.